Josh Willingham #16 of the Minnesota Twins hit s adouble in the 7th inning driving in three runs against the Chicago White Sox at U.S. Cellular Field on April 21, 2013 in Chicago, Illinois. 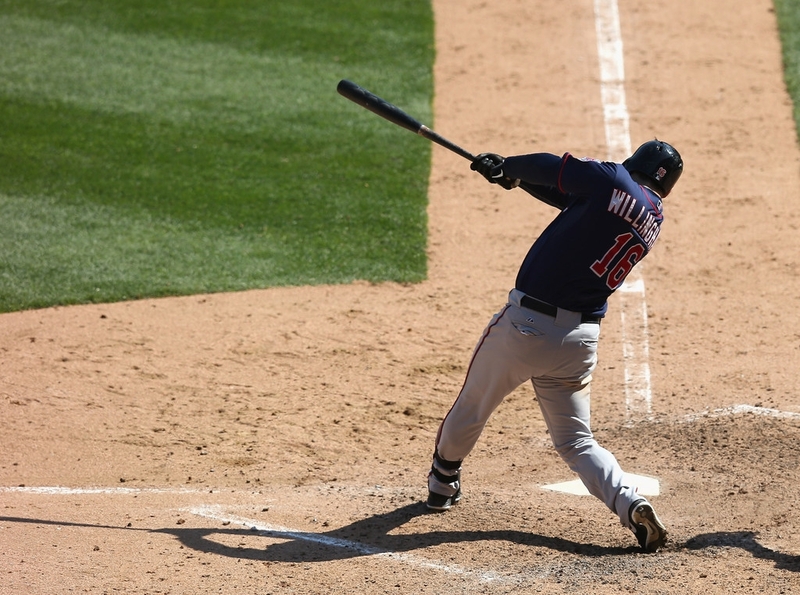 The Twins defeated the White Sox 5-3. - high-definition photo for free download.